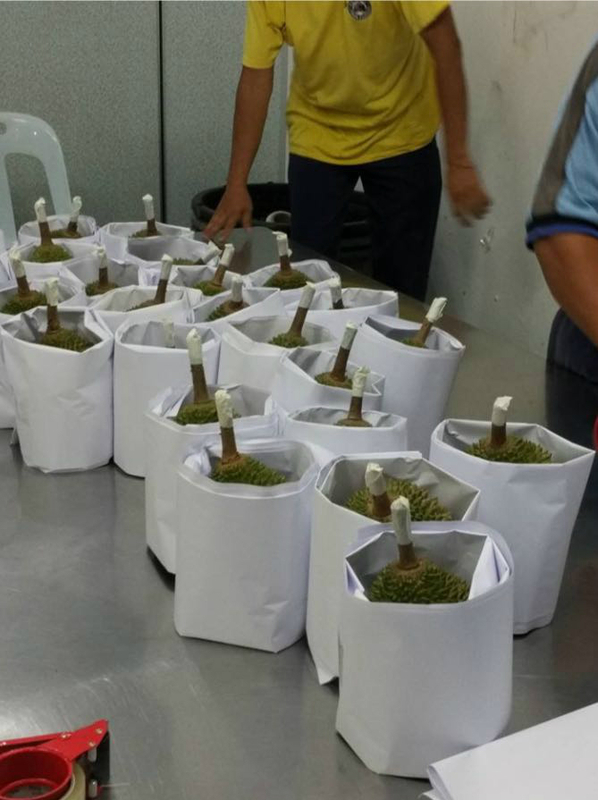 Firstly, once the fresh durians are collected from the orchard, they will then be sent for chilling for a duration of 3 hours. 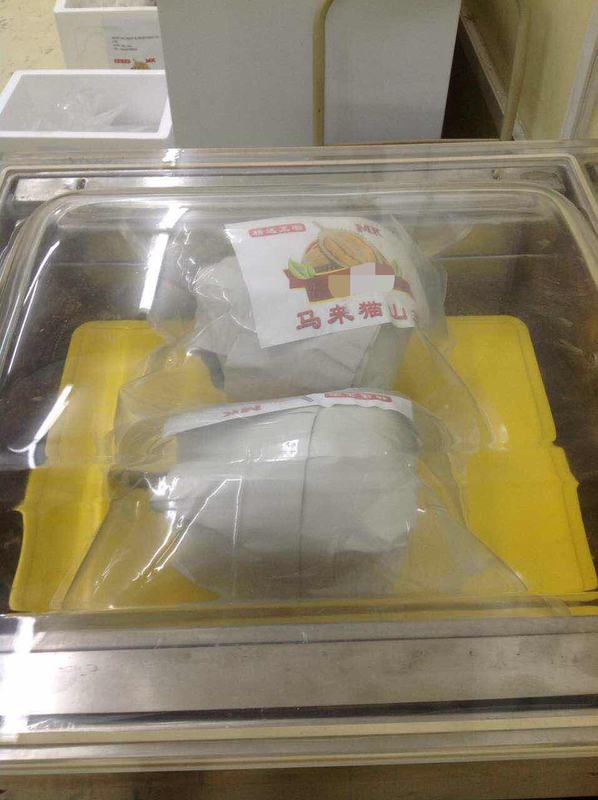 A special thick layer of paper and plastic wrap will be used for packing. In order to maintain the product quality and extend the shelf life of durian, all products will be undergone vacuum process to remove air around the durian and then seal them in an impermeable package. 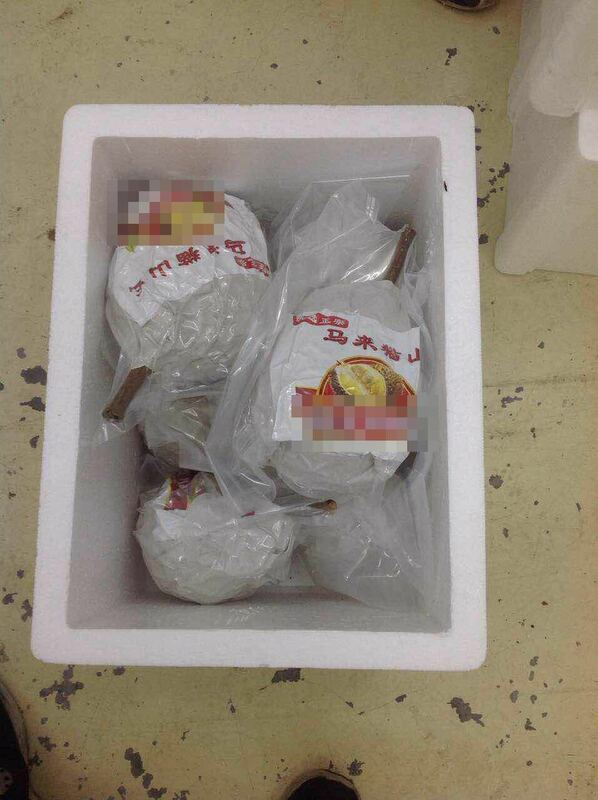 Lastly, durians are stored in polystyrene box for delivery. Note: In order to protect our customers' interest, we had cancelled off the name in the photos above.